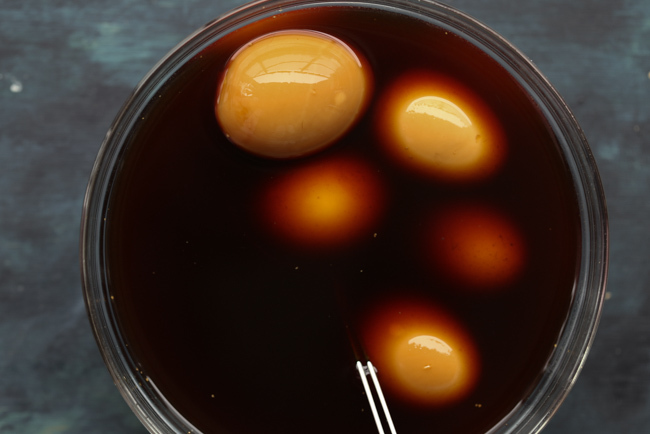 Chinese Soy sauce egg (卤鸡蛋) is one of the most popular street foods with the famous Chinese tea eggs. 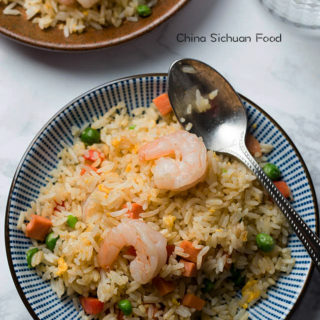 And they are commonly served with noodles, breakfast or steamed rice. And we also have another interesting version: tea leaf eggs or marbled eggs. 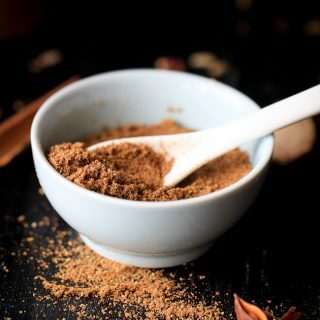 The cooking method of flavoring ingredients, including root vegetables, meat and eggs with soy sauce and spices is named as “卤”. The marinating sauce is called “卤水”. 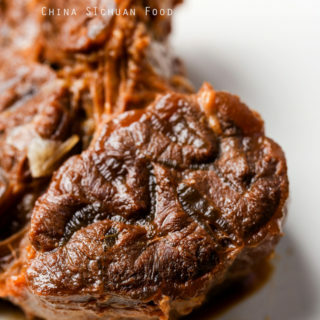 Expect common eggs, chicken feet, chicken wings, duck feet, lotus roots and pork large intestine are extremely popular in China. It is Chinese custom to keep the marinating sauce as the older the sauce is, the better it tastes. But now, for healthy consideration, we use one time soy sauce marinating sauce. 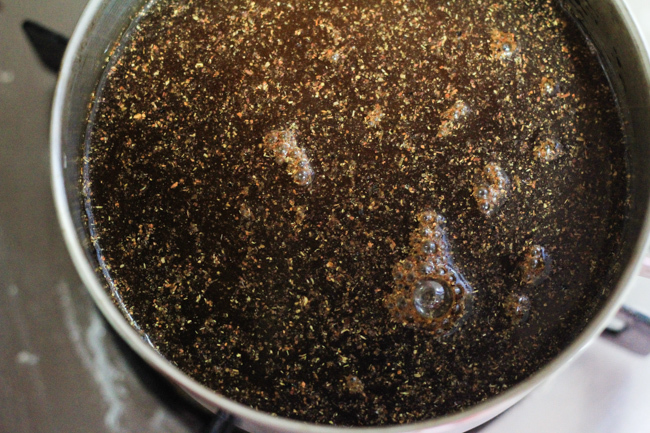 Add soy sauce, water, sugar,vinegar and Chinese five spice powder in a small pot and simmer for 10 minutes. 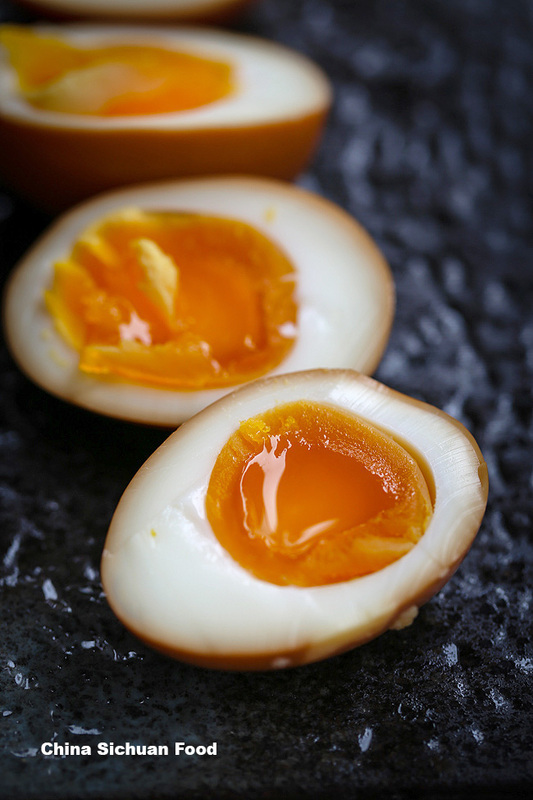 Set aside to cool down completely as the eggs should be soaked in cold marinating sauce. Half-fill a large pot with water and bring it to boil. Add a small pinch of salt. 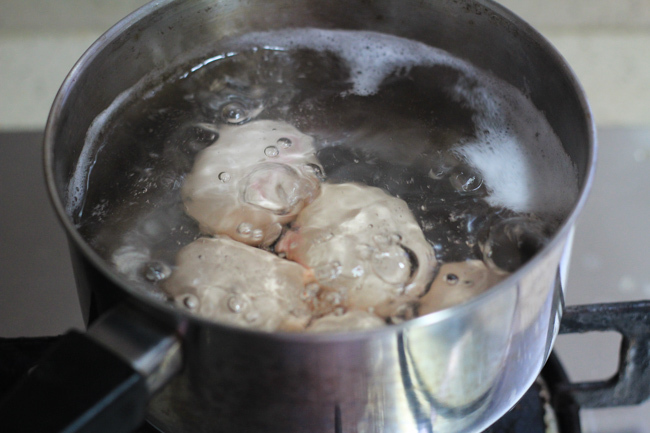 Lower the eggs into boiling water carefully using a ladle and slow down the fire immediately. Simmer for 6 minutes (for softer texture) or 7 minutes (for harder texture). Stir the eggs in the first two minutes. 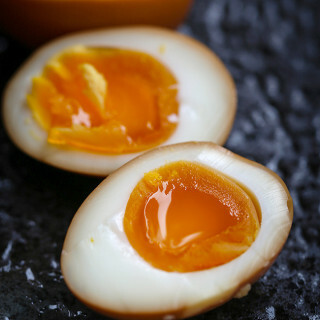 Add soft boiled eggs in the marinating sauce, soaking for overnight (12-20 hours until well salted). 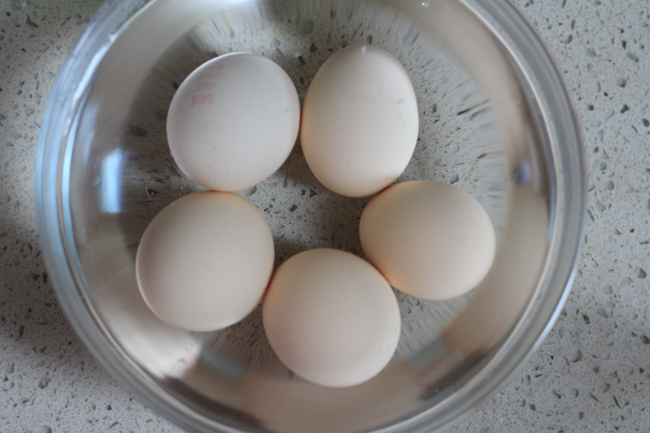 Transfer them out when the eggs are well salted. 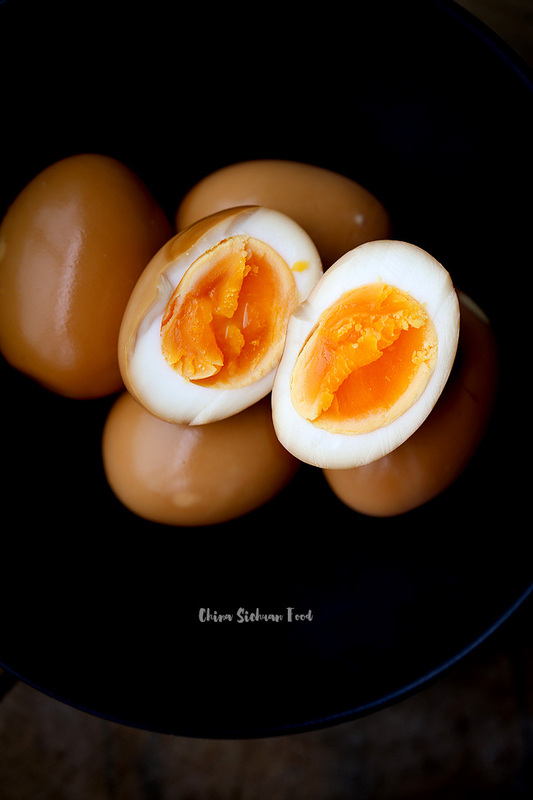 I use smaller eggs (around 45g each) and larger eggs (55g each) and boil them for around 7 minutes in order to test the yolk texture. 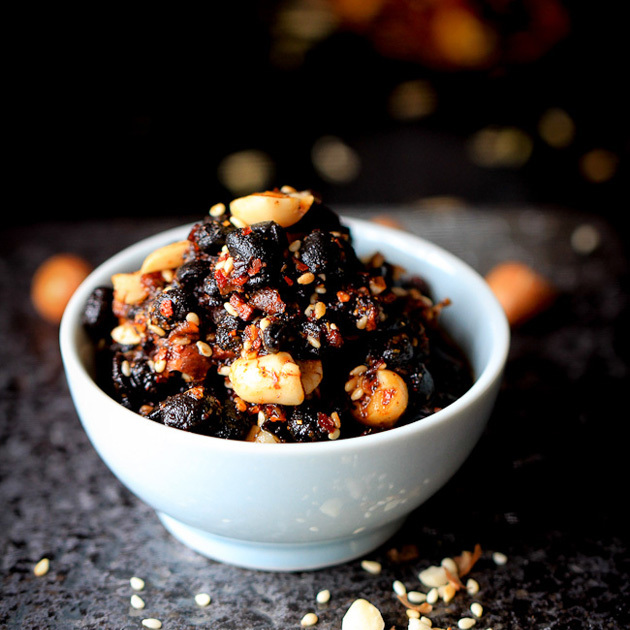 In a small pot, add water, soy sauce, rice vinegar, sugar and Chinese five spice powder. Bring to boil and simmer for 10 minutes. 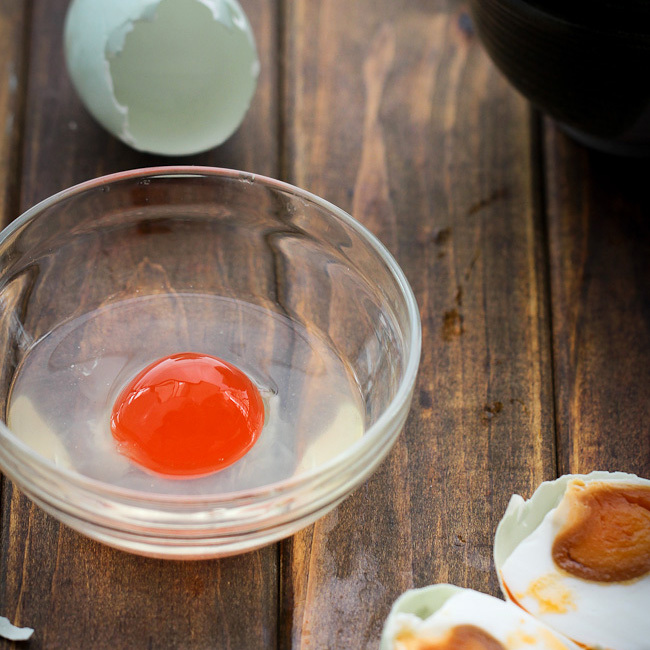 Lower the eggs into boiling water carefully using a ladle and slow down the fire immediately. Simmer for 6 minutes (for softer texture) or 7 minutes (for harder texture). Stir the eggs in first two minutes. 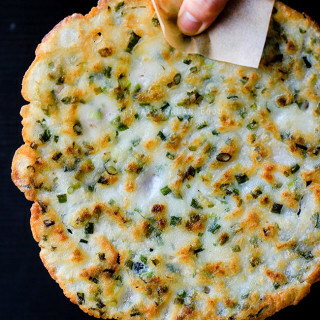 Cut lengthwise and serve with rice or noodles. The Nutrition Facts is based on each single egg. 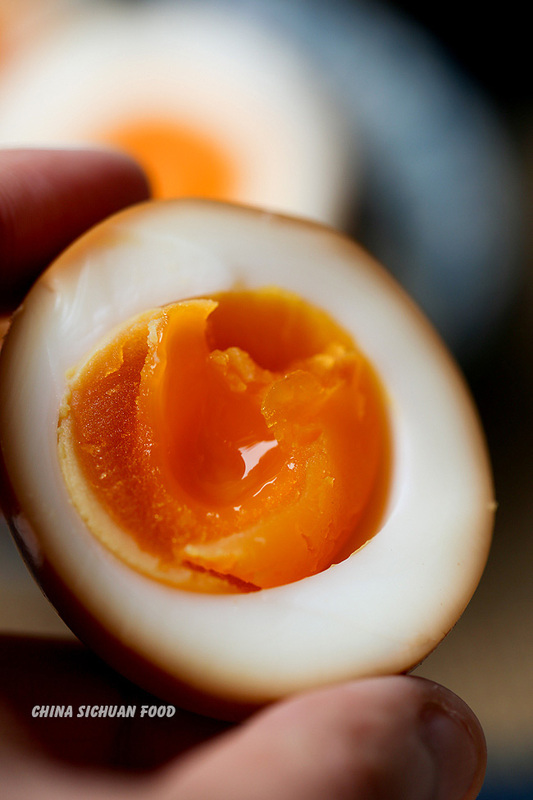 The version you mentioned is tea egg. 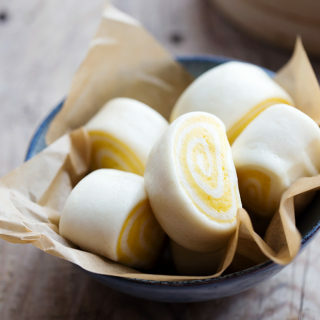 Check out the recipe here https://chinasichuanfood.com/chinese-tea-eggs-marbled-eggs/. These eggs are absolutely life-affirming. Thank you for the wonderful recipe! Are they the greatest partners for noodles? Glad to know you like them. Happy cooking. Hi, do you need to place the eggs and sauce in fridge while marinating overnight? In summer, yes please. In winter, it is ok to leave in room temperature. Absolutely brilliant flavor, the soy and the 5 Spice work well together. I made 6 for a test run using duck eggs, family tested them out, I have 2 left, I will be making batches of these every week for sure. I will use quail eggs soon for this as well. Thank you for the great recipe! Quail eggs can be ever better with this. But you need to shorten the cooking time and soaking time since they are much smaller. 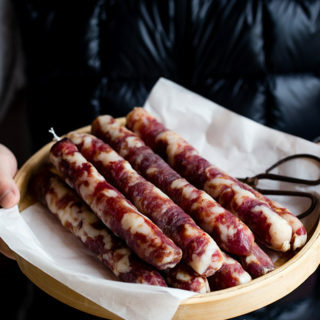 Can you tell me the recipe for the photo at the top? 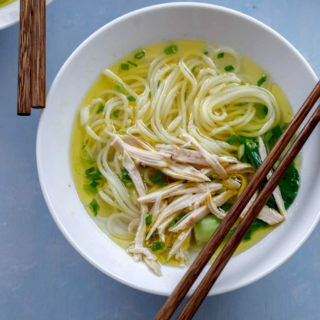 With the broth, noodles and green onions? 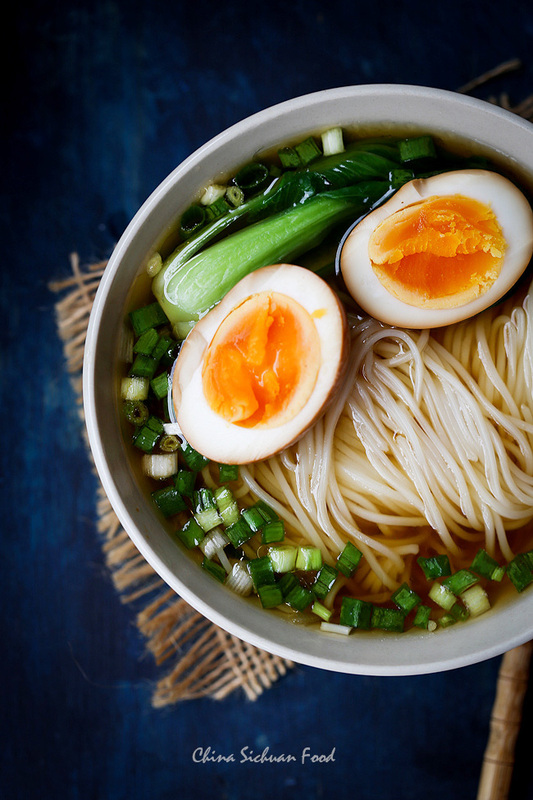 What broth did you use for that bowl? Thank you Elaine! It is yang chun noodles. You can check the recipe here. Why say “stick of cassia bark” is that not just a cinnamon stick? We usually break cassia bark in smaller pieces in Chinese cooking, possibly around 1 thumb size. A whole stick is too much. Good day! I am making these as gifts. What is the best storage options? Should I leave the eggs in the marinade? Or remove them. How long would they last? I planned on sterilizing wide mouth mason jars filling it with the eggs and marinade and sealing while hot. Would I need to refrigerate them? Or can they stay in the cupboard until opened? 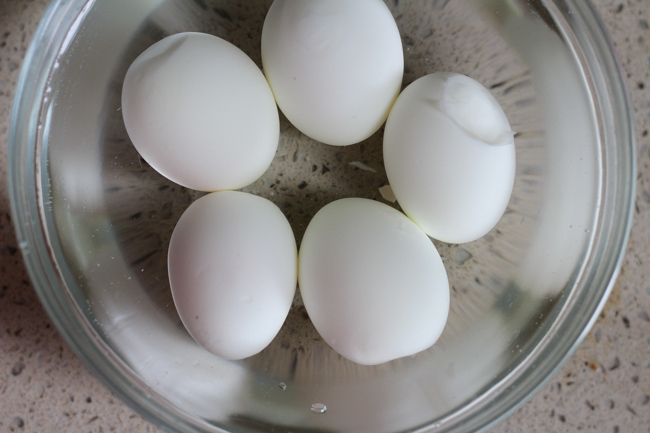 Once well soaked, remove the eggs out and keep in air-tight bags or jars. Then keep them in refrigerate if you need to keep for a longer time. 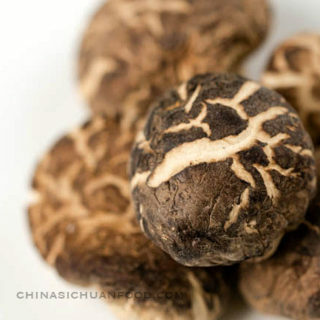 In winter days, it can stay in cupboard only for shorter time, like hours or one day. Re-boil them and cool down, freeze for next usage.